While India managed to seal the fake currency's Pakistan and Nepal route into India to a large extent, Inter Services Intelligence-sponsored operatives have furthered their activities by shifting base to Thailand. The D gang's network is very deep-rooted in Thailand and there was already an existing route between this country and Bangladesh through which drugs were being smuggled. 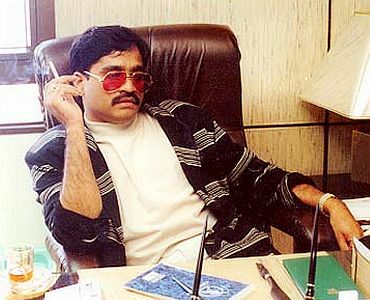 Intelligence Bureau officials told rediff.com that they have shared information to this effect with the Central Bureau of Investigation, which is looking into this case in India. The IB says that the ISI is using the D gang the same manner in which it used it to smuggle arms and ammunition just before the 1993 blasts. The D gang, which was actively smuggling drugs in and out of Pakistan, were given an ultimatum by the ISI to smuggle arms along with the drugs into India if they wanted to continue their business. The same tactic is been used again by the ISI. 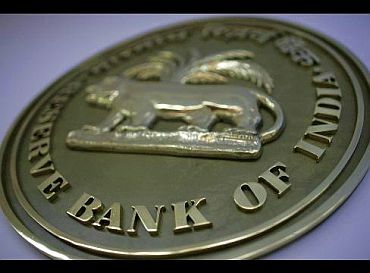 IB officials say that in the days to come they will use more routes such as the one existing in Dubai too to transport fake currency into India. 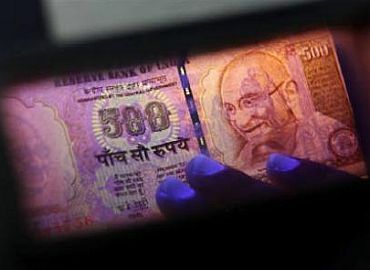 Experts point out that the reason why fake currency continues to exist in India despite all the security restriction is the meagre control the country has on the paper on which the currency is printed. 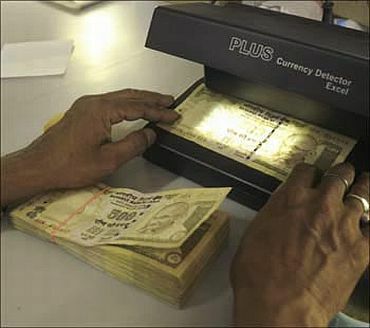 Almost 98 per cent of the paper, which is used to print Indian currency, is exported from European nations. Currently India relies on 11 firms abroad to import paper. This means that India does not have absolute control over the security features and are heavily reliant on these firms. When the paper is imported, security features such as watermark, magnetic thread and the windowed security thread already exist. 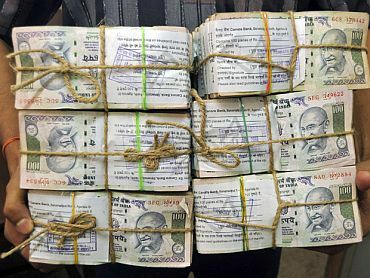 Experts say that it is not hard for these terror groups to get access to these notes. All they need to do is incorporate micro lettering and the face of the father of the nation into it. It is time for India to rethink this aspect. Guarding the borders and other entry points will only solve 10 per cent of the problem, as these persons will continue to innovate and create newer routes to smuggle in fake currency.